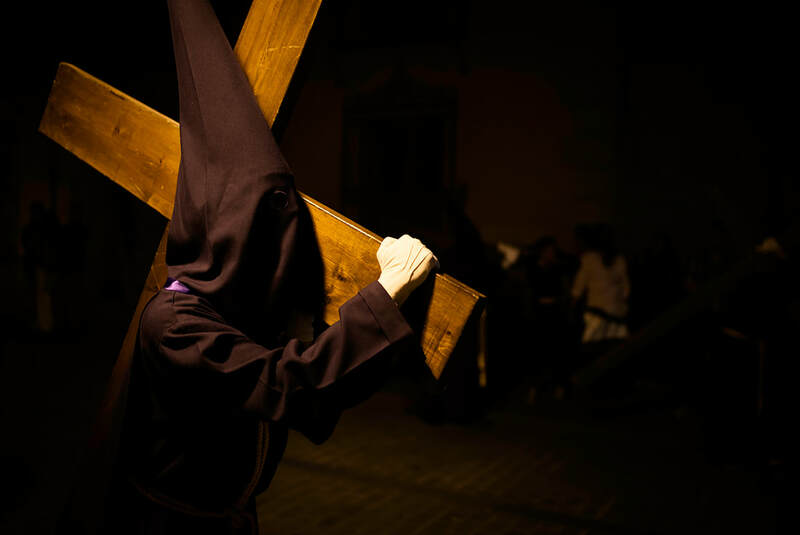 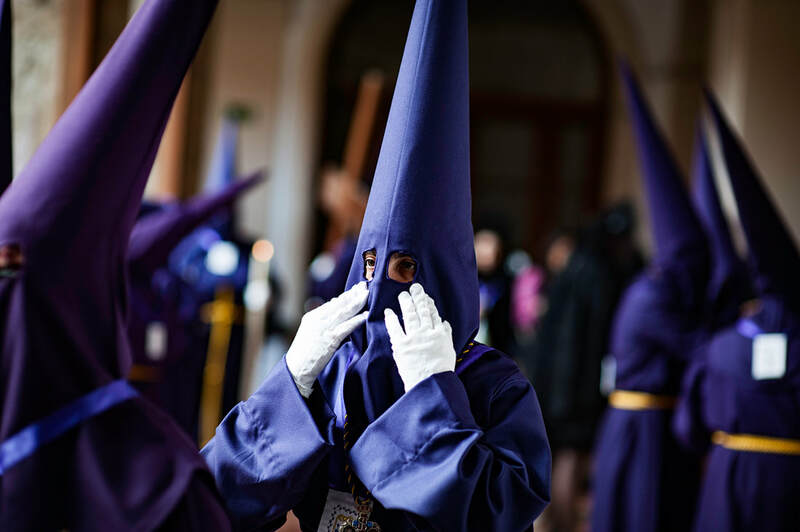 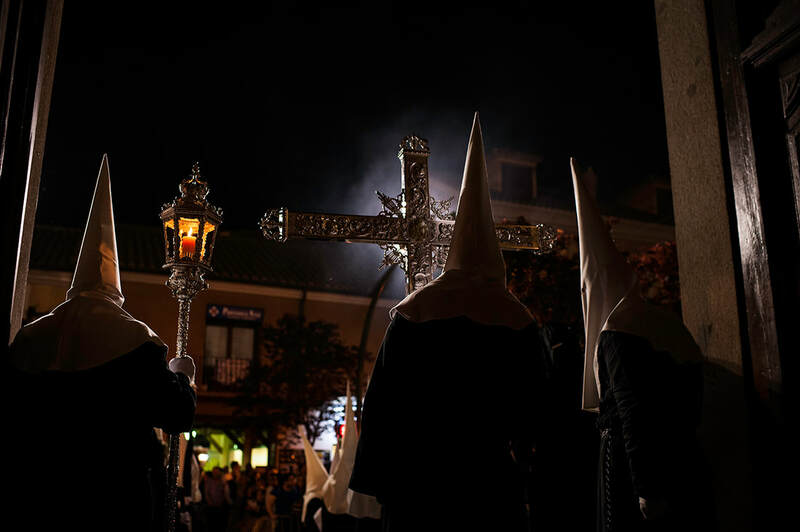 The Holy Week is a special moment in Alcalá de Henares city (Madrid, Spain). 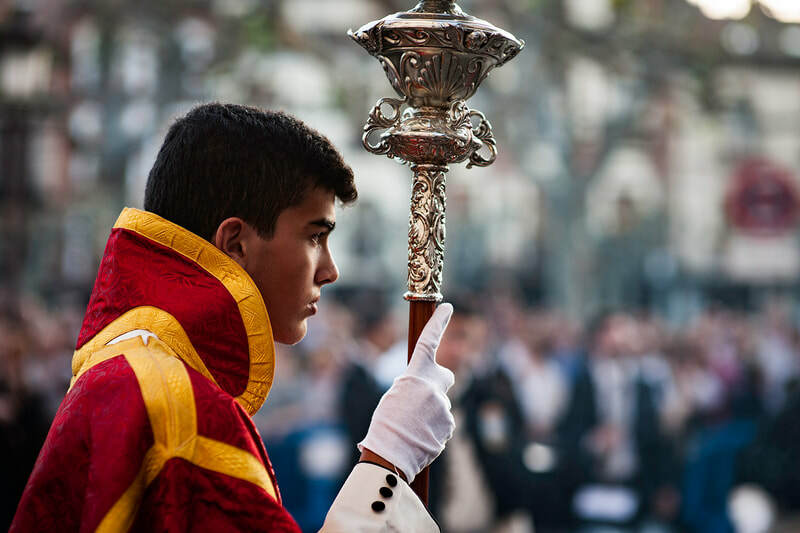 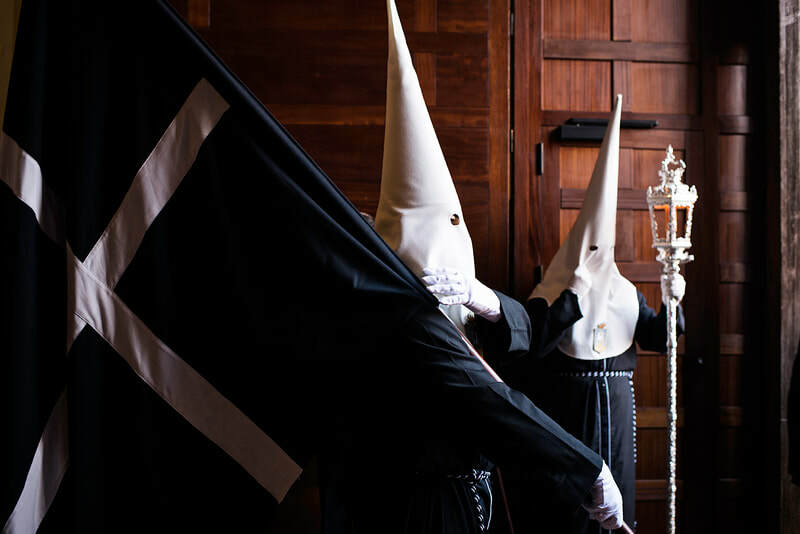 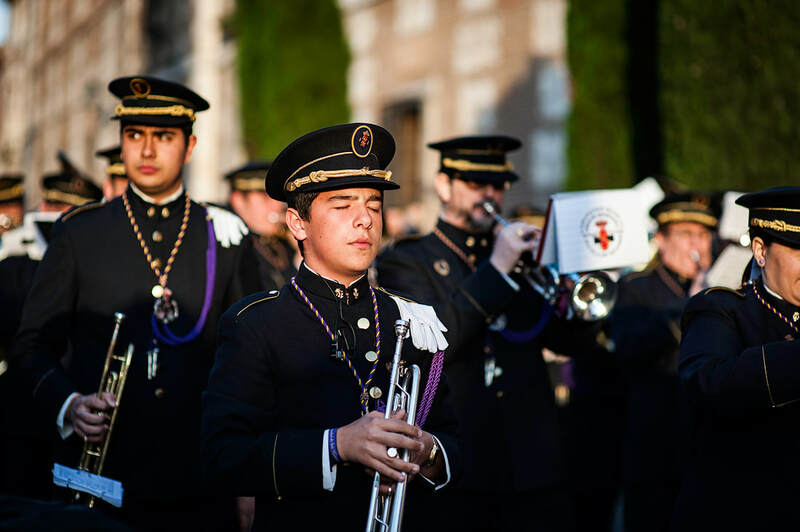 A long tradition from centuries ago moves the "Cofrades" of different Brotherhoods to the processions during the whole week. 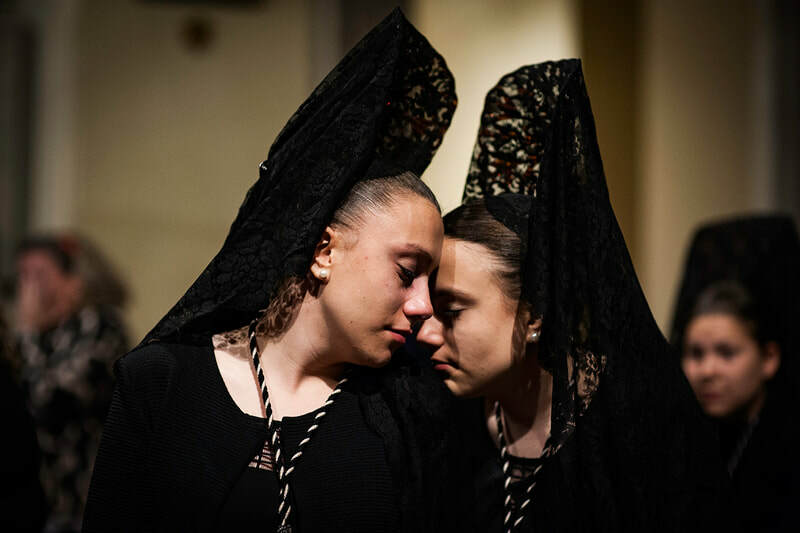 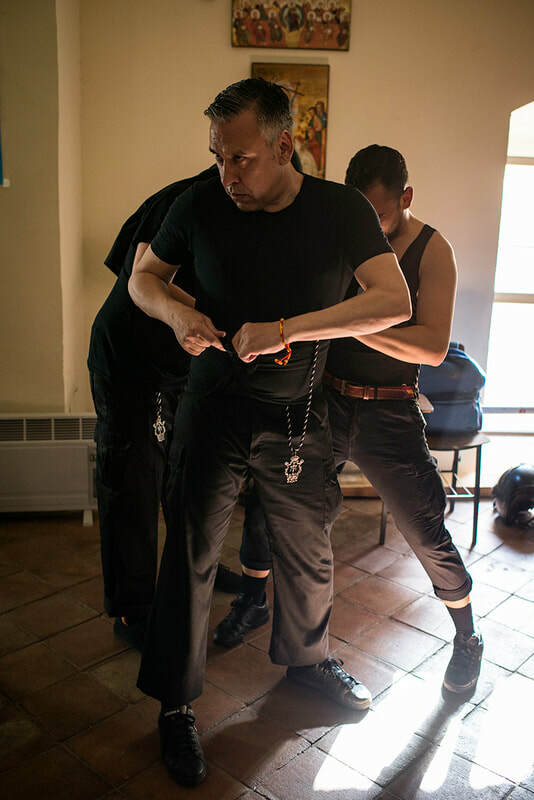 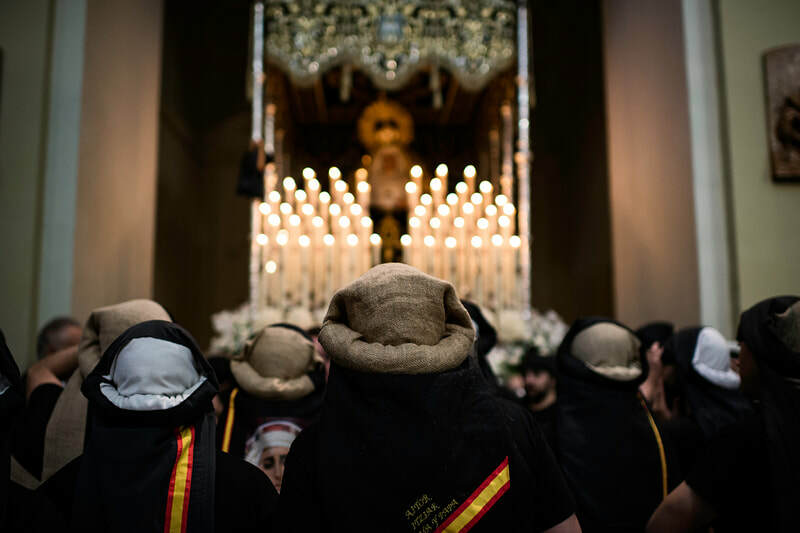 It is an emotive and strong moment for all the people attending to the processions and also participating as "cofrades", "nazarenos" or "mantillas" in the different steps of the religious demonstration. I was in charge of following two of the fourteen Brotherhoods during that week, with the result of a book and an exhibition in 2018.